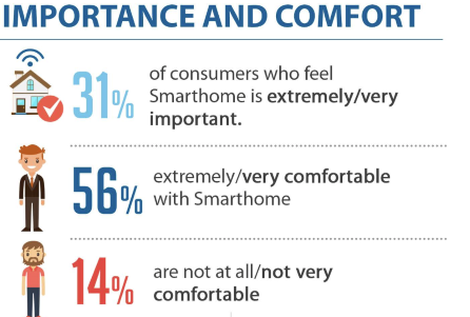 And The Survey Says… The Majority Of Americans Are Comfortable With Smart Tech In Their Home, And They Want To Buy More! TraQline, a market intelligence company, has released a survey about smart homes, ranging across 25 categories for the devices. The survey was designed to understand the purchase intent, awareness, and the frequency of usage of the product. The underlying purpose for this survey was to understand the reason people buy smart devices, the devices controlled by Google and Alexa, and the most popular features. The first smart electronic device to be bought by the customers is the smart TV, followed by thermostats and security cameras. As many as 50% of the users are comfortable with this technology. 69% of the American homes have at least one smart product and 35% of them have bought one in the last 6 months. The top factors impacting a purchase are price, user-friendliness, and privacy concerns. As many as 40% of the smart products are used at least twice a day. 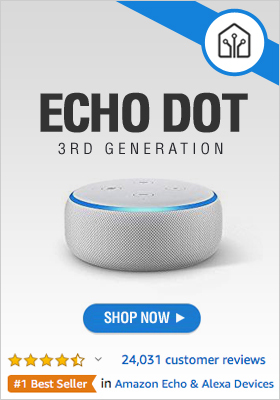 Two out of three (66 percent) of the electrical products category (plug outlets, switches, lamps, and bulbs) are controlled by Alexa, beating electronics (62 percent), security products (50 percent), and appliances (54 percent). While most users are aware of issues with IoT, less than 1 in 10 consumers take active steps to combat this.